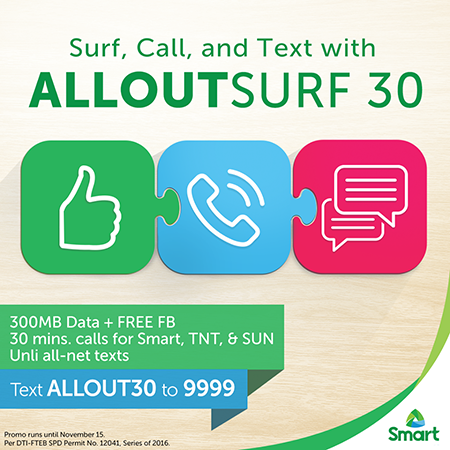 How to register to Smart All Out Surf 30 Promo? Promo runs until November 15, 2016. Visit us again to know more about Smart Prepaid latest offers and promos again. You can also check on Smart Communications and UnliPromo Facebook page for the latest news feed.